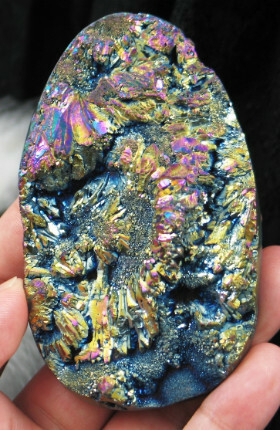 The metal bonding on this piece are just stunning with colors of blue gold and purple. This is a beautiful spirit just begging to be shown off. 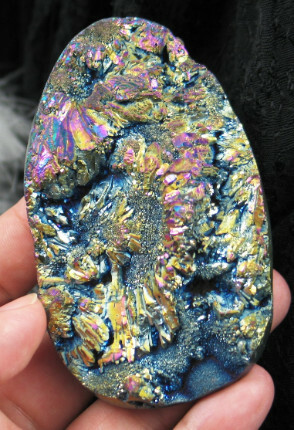 It would make a stunning necklace centerpiece! 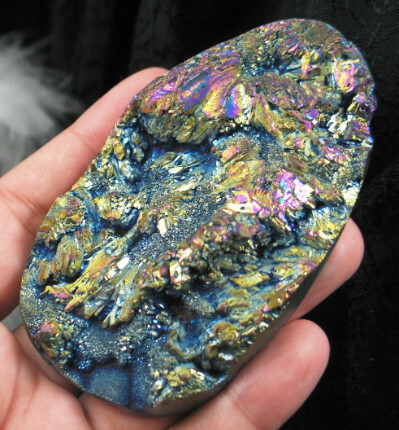 There are several types of modified quartz crystals that are crystals that have been bonded with a metal to produce stunning crystals that vibrate with a completely different energy. 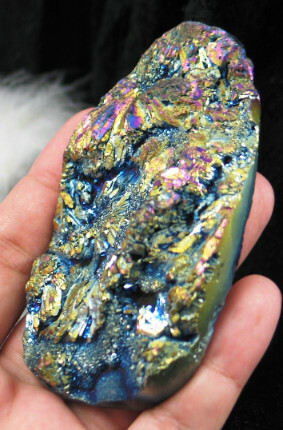 Flame aura quartz is quartz bonded with titanium and niobium. 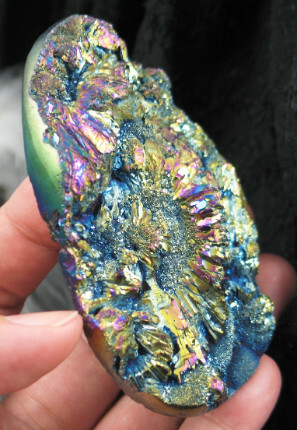 This creates deep blue crystal that has purple and gold tones to it as well. 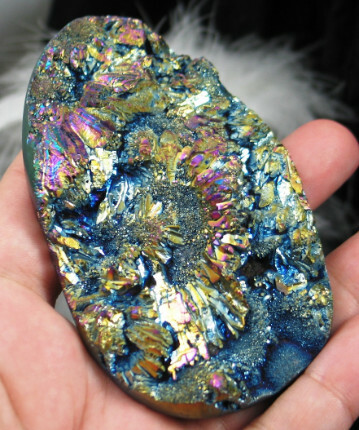 These crystals have a very high vibrational energy that activates the Third Eye and Crown chakras. 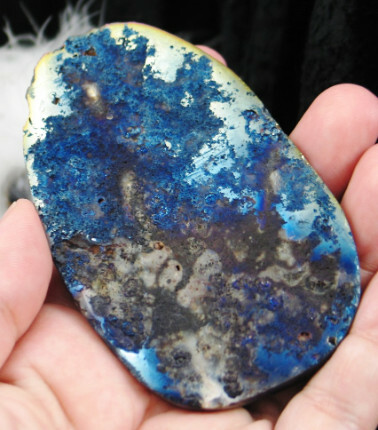 It deepens meditation and allows you to better connect to the information received and process this information into practical use.